The Law Enforcement Torch Run (LETR) began in 1981 when Wichita, Kansas (USA), Police Chief Richard LaMunyon saw an urgent need to increase awareness of Special Olympics. He also saw it as an ideal way to involve local law enforcement personnel with the Special Olympics community. Thirty years later, that flicker has become a roaring flame of stability for Special Olympic athletes worldwide. 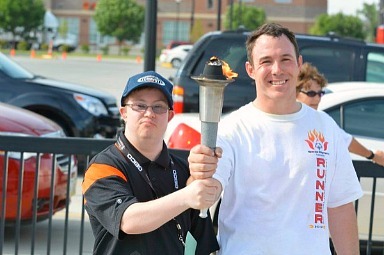 At its most basic level, the Torch Run is a running event in which officers and athletes carry the Flame of Hope to the Opening Ceremony of local Special Olympics competitions, state/provincial Games, and National Summer or Winter Games. Every two years, law enforcement officers from around the world gather to carry the Flame of Hope in a Law Enforcement Torch Run Final Leg in honor of the Special Olympics World Summer or World Winter Games. At its most fully developed, the Torch Run initiative encompasses a variety of fundraising vehicles in addition to the Torch Run itself. Torch Run fundraising includes T-shirt and merchandise sales, donations or pledges for runners in the Torch Run, corporate donations, special events such as Polar Plunges, golf tournaments or other events that have local appeal. 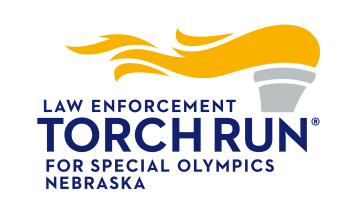 For more information about the Nebraska Law Enforcement Torch Run, contact Director of Development and LETR Manager Katie Kellar at kkellar@sone.org or 402.331.5545x17.